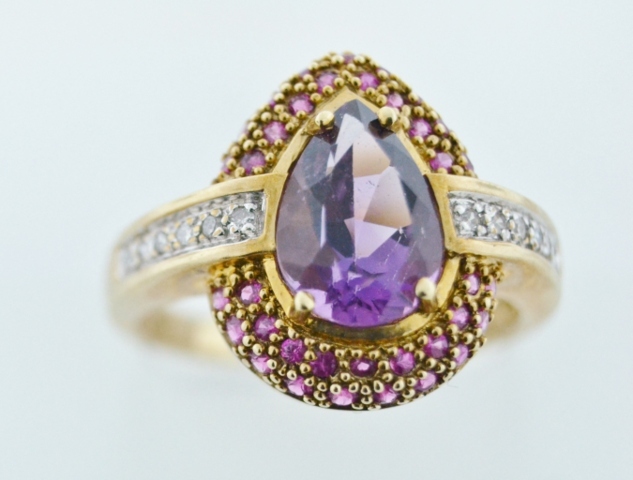 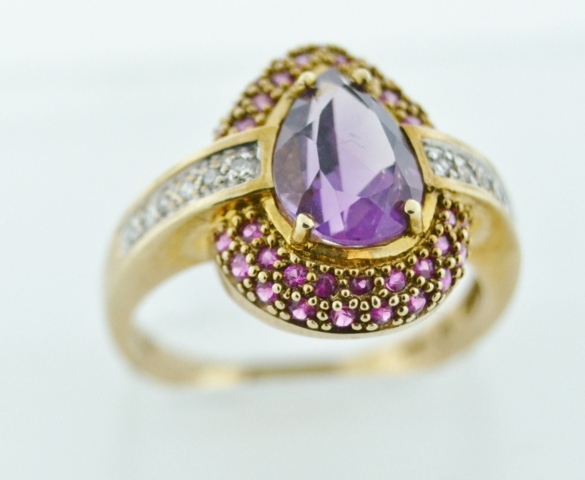 The center pear-cut Amethyst measures approximately 7x10mm. 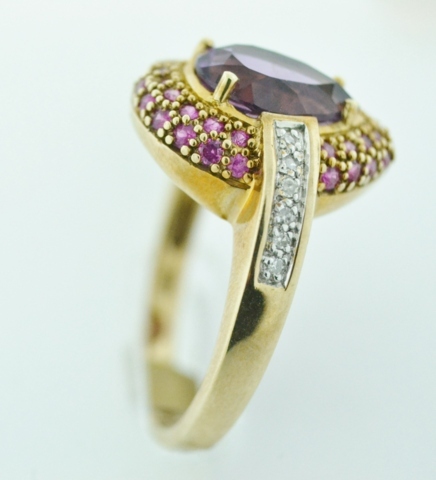 There are 36 round pavé-set rubies weighing 1/2 carat total. 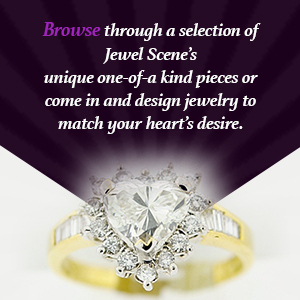 There are 12 round pavé-set diamonds weighing .10 carat total.